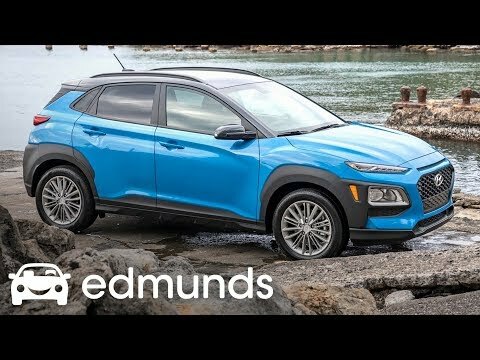 2018 Hyundai KONA All in Package! South Korean multinational firm Hyundai Motor Company has been manufacturing and distributing automobiles that cater to diverse market segments for over 40 years. The organization has been included in Fortune Global 500, an annual ranking of the top 500 companies worldwide in terms of revenue, for the past 23 years and currently sits in 78th place. Hyundai's fleet includes sedans, hatchbacks, sports utility vehicles (SUVs), buses and trucks. 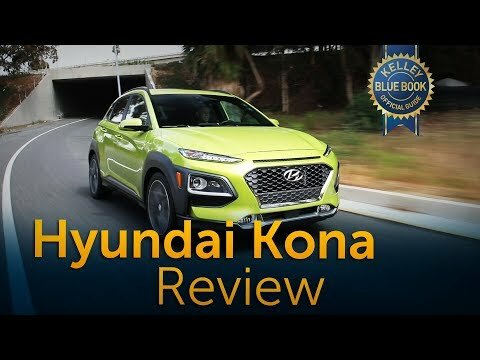 In 2017, Hyundai introduced its entry in the lucrative subcompact crossover SUV market -- the Hyundai Kona – and it immediately created a buzz among car enthusiasts for its out-of-the-box styling. Launched in overseas markets in late 2017, Hyundai's latest brand reached the Philippine shores in April 2018, directly competing with the likes of Chevrolet Trax, Honda HR-V, Mazda CX-3, Nissan Juke, Subaru XV, and Suzuki Vitara. For the Philippine market, Hyundai released just one GLS variant of the Kona. Under the hood, this subcompact SUV is powered by a 2.0-liter four-cylinder Atkinson engine, which is also found in some variants of the Hyundai Elantra and Hyundai Tucson. It is paired with a six-speed automatic transmission, with manual-shifting mode offered as an option. This powertrain generates 147 horsepower and 195 pound-feet of torque. The Hyundai Kona is a front-wheel drive, although prospective buyers may request for an all-wheel-drive variant. The Environmental Protection Agency (EPA) estimates its fuel economy score to be at 27 miles per gallon (mpg) in the city, 33mpg on the highway, and 30 mpg combined. This model has a 50-liter fuel capacity. Standing 62 inches tall, the Kona is one of the shortest in its class, but it is relatively wider at 71 inches. It has a decent wheelbase length of 102 inches and seven inches of ground clearance. In terms of length, this new crossover SUV is a bit behind its rivals with only 164 inches. The Hyundai Kona wears a sporty, extrovert styling, emphasized by its low, wide stance. The front view wears a fresh look, with the new Cascading front grille flanked by two sets of narrow LED daytime running light and headlight combination. Fog lights are uniquely positioned underneath the center part of the grille. The sides look more conventional than the front, with no attention-grabbing lines or curves. Meanwhile, the ca's backside was crafted as boldly as the front, sporting a prominent rear bumper, long slim LED taillights, a roof-mounted spoiler, and roof rails. Checking out the interior, one will find a simple but ergonomic layout. It has a conventional center stack design with the integrated music system sitting atop the AC unit. A closer inspection, however, will reveal fresh updates such as the new three-spoke steering wheel and large buttons for the audio. These give the car a youthful vibe. The Kona's infotainment system also comes with six speakers, a USB port, and Aux and Bluetooth connectivity. The cabin has two rows of seats wrapped in a fabric as standard. Designed to comfortably accommodate five adult occupants, the car has a generous shoulder room as well as headroom despite the car's low stance. Legroom, however, is on the cramped side, especially for the rear seat passengers. The overall suspension and steering of this model were intentionally designed to be a little stiff to be consistent with its rugged and sporty exterior. In terms of performance, the Kona turns out to be adept. It works well for daily driving and even when accelerating on paved roads. It also surprisingly remains in good form when traversing challenging terrains. In terms of safety measures, the Hyundai Kona being sold in the country is outfitted with six airbags, Anti-Lock Braking System (ABS) with electronic brakeforce distribution (EBD), reverse parking sensors, tire pressure monitoring system, and engine immobilizer. The shortlist of features available to the Philippine buyers make the Kona look spartan when compared with those offered to overseas markets. However, it is considered reasonably endowed when put alongside similarly priced subcompact SUVs in the local market today. The Hyundai Kona has a starting price of around PHP 1.1 million. In other markets, Hyundai sells the Kona in four trims, namely the base model SE, SEL, Limited, and the top-of-the-line Ultimate. It is also available in 1.6-liter inline-four turbocharged engine option attached to a seven-speed dual-clutch automatic transmission. The Kona is available in 10 different colors, ranging from basic Phantom Black and Chalk White to more fun shades, namely Dark Knight, Red, Ceramic Blue, Blue Lagoon, Acid Yellow, Velvet Dune, Lake Silver, and Tangerine Comet. Color availability varies per geographical location. Is the Hyundai Kona worth your hard-earned cash?